This is not a mother's day poem. This is not a poem to tell you about my three children, the two who aren't here and the one who is. This is not a poem to tell you how today I went to my son's school and had "muffins for moms" and how his description of why I was special to him was the only one that started with "I" instead of "she." ("My mom is special because" and he wrote, "I love her so much."). And how my heart expanded when I read those words. This is not mother's day poem to tell you how I suddenly realized my son was the only boy in his entire grade with longer (unbraided/ undreadlocked) hair. This is not a poem to tell you to take care of yourself, if you are a mom (or if you aren't). This isn't a poem extolling the virtues of getting massages or facials or whatever form of pampering you love most. This isn't a poem telling you to listen to your favorite songs this weekend and eat a slice of something delicious and watch a good movie. You'll do those things if you'll do them, not because I reminded you. This is a poem about love. This is a poem about how love overflows into the world whether we notice it or not and we might as well stop and notice all the ways it is overflowing into our lives, because well, there it is. Whether we know it or not. 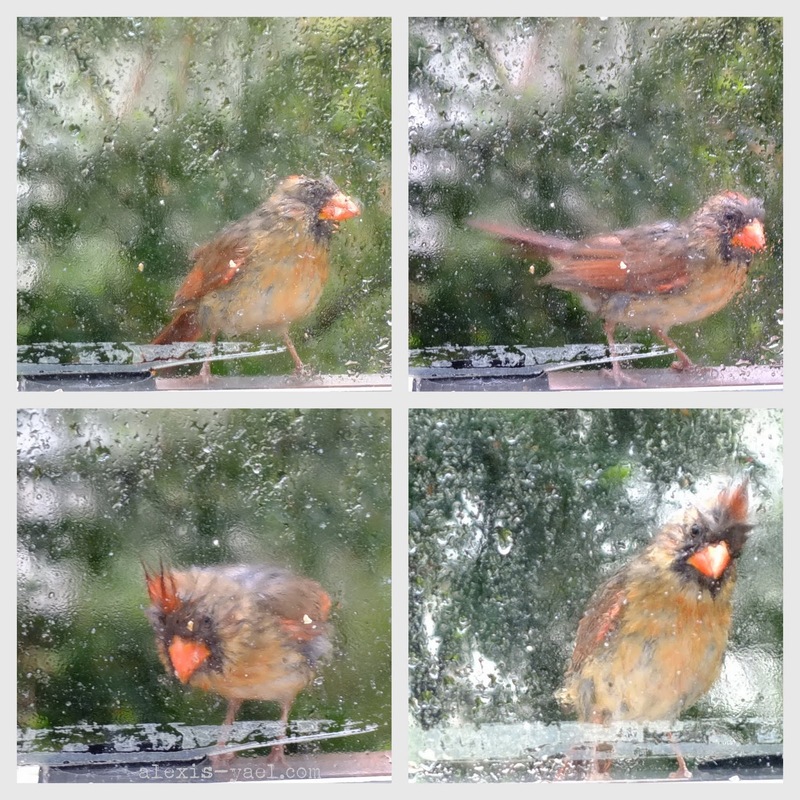 This is a poem about a bird, who came to the window looking for seeds, and found them in the pouring rain. This life is a poem. Why not start writing?